The perfect gift or a great way to sample a variety of steaks: Filet Mignons, Boneless Strips, Top Sirloin and Ribeye Steaks. 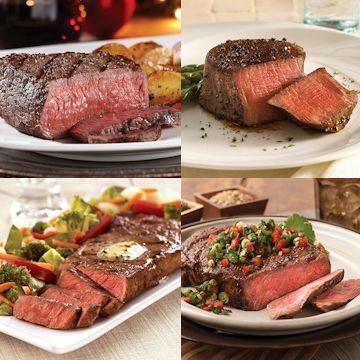 Our Gourmet Steak Sampler has just what you're looking for. Order now and experience the incomparable beef taste.